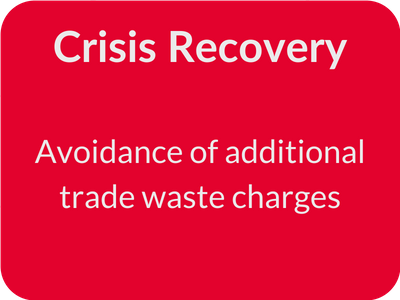 The local council was threatening to triple charges if the client failed to get trade waste emissions under control. Many people had attempted to resolve the problem without success. A combination of process flow diagrams and root cause analysis which identified that the out of spec emissions were being caused by sudden surges in pH which, in turn, were caused by cleaning activities on the production lines. A design for the modification of the trade waste system and the inclusion of a custom-made surge tank so that the emissions would stay within council limits. Client now had the confidence to submit a capital project for board approval knowing that the solution was viable and that internal resources could implement.